2012 seems to be a bad start for me.. an accident.. thn dealing with a crazy doc and now a skin allergy.. hope my quota of falling sick in 2012 gets over in this month itself .. fingers crossed.. Now with this state I just don feel like cooking.. and thus, try making a singular dish that would suffice a meal :) ... not that I aint lazy but this is truely out of compulsion (believe me ;)) .. I had had this dish at a frendz sometime ago and so wanted to replicate it.. 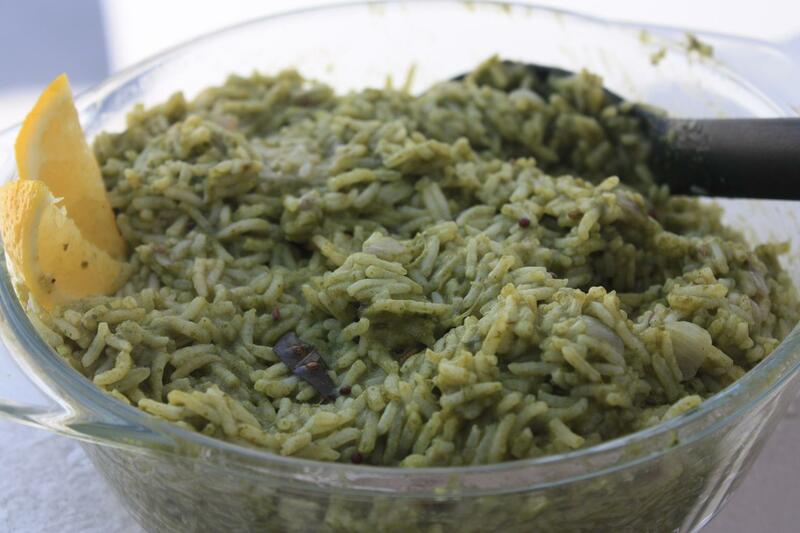 SPINACH RICE .. and I think I did a good job.. Arunesh & I ate it up all... and loved it !! Wash rice, drain water & keep aside. Grind blanched Spinach & Chili together into a fine paste. Heat oil in a cooker. Add Bay Leaf, Cumin Seeds, Mustard Seeds, Cloves & Peppercorns. As Mustard Seeds start to crackle, add Onions & fry for about 5 mins. Next, add the Spinach-Chili paste & cook for 2 mins. Finally add the Rice, Salt & 4 cups of water. Cover the cooker & cook till 2 wistles. Spinach Rice are ready.. Incase you find the rice still watery, cook uncovered for about 2-3 mins to dry the excess water. Squeeze some Lemon Juice and serve hot. 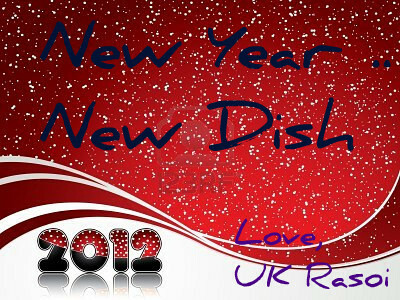 Sending this entry to Nupur's New Year, New Dish event. Healthy and super flavourful rice. Healthy and nice one pot meal !! yummy and healthy spinach rice..looks so colorful..loved it!! I love this simple and healthy recipe. Sorry about all the sickness, I am sure it will get over soon. Take care.